Algo Rythms produces immediate and actionable Forex signals based on 100 intricate scenarios for over 30 currencies. Boston Technologies Powered by Forexware and FXStreet announce new global partnership on Forex news feed distribution. 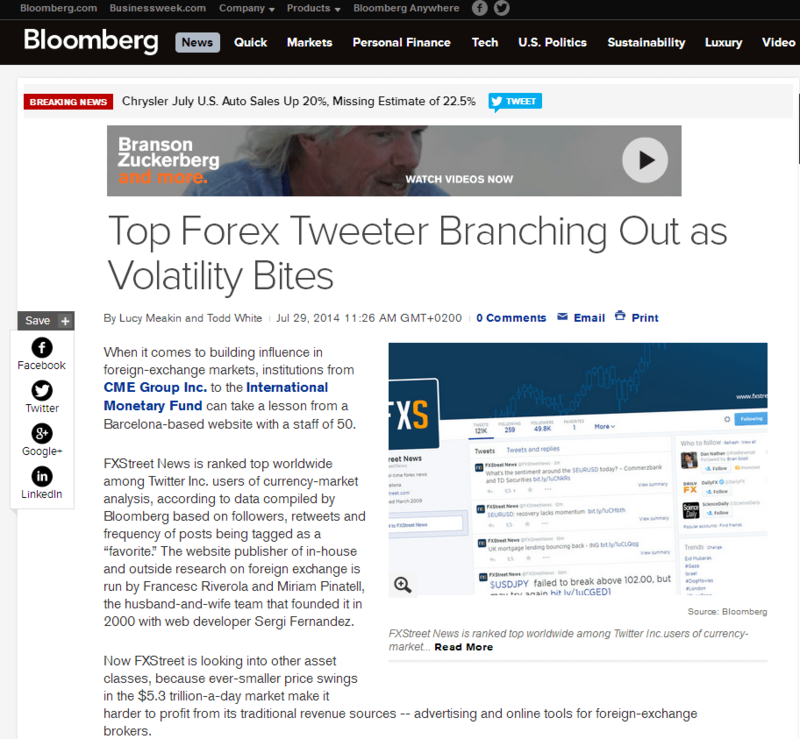 “FXStreet News is ranked top worldwide among Twitter Inc. users of currency-market analysis, according to data compiled by Bloomberg based on followers, retweets and frequency of posts being tagged as a ‘favorite’.” This is part of an article published this week in Bloomberg News regarding our company and its influence in foreign-exchange markets. There FXStreet has been mentioned as an example of Social Media channels management.